LISA F. METZ is a principal of Brody Wilkinson and a member of the firm’s Trusts & Estates Group. She practices in the areas of estate planning, trust and estate administration and estate settlement in Connecticut and New York. Ms. Metz represents a range of clients, including high net worth individuals who are providing for multiple generations, recently divorced women, and couples with young children. For all clients, she takes the time to ensure that their questions are answered and they fully understand their options. She has significant experience drafting sophisticated and flexible estate planning documents to accomplish goals such as asset protection (including working with counsel in states such as Delaware) and estate and income tax minimization. She also advises clients with existing family trusts regarding how the trusts may be administered to address changing needs. She closely follows federal and state laws to keep her clients informed about changes and best practices. Ms. Metz has published several articles including co-authoring a chapter entitled, “Lifetime Asset Transfers” in A Practical Guide to Estate Planning in Connecticut published by MCLE New England. Prior to joining the firm, she practiced at other firms in Connecticut and Illinois, including eight years in the Greenwich office of Cummings & Lockwood. Ms. Metz is a Martindale-Hubbell AV-rated attorney. She is admitted to practice in Connecticut, District of Columbia, New York and Illinois. Ms. Metz is a member of the American, Connecticut, New York, Greater Bridgeport and Stamford/Norwalk Bar Associations. 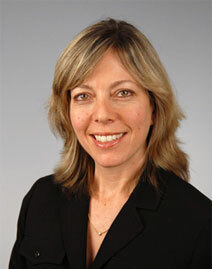 She is also a member of the Estate Planning Council of Lower Fairfield County. Ms. Metz received her B.S. from Cornell University with honors in 1984 and her J.D. from the National Law Center at George Washington University in 1988, where she was an associate editor of the Journal of International Law and Economics. She interned for the U.S. Senate Judiciary Committee during Judge Robert Bork’s Supreme Court confirmation hearing. She has been involved with numerous school and community organizations. Ms. Metz is a member of the Cornell Alumni Admissions Ambassador Network and interviews applicants. She volunteers her time to support Food Rescue US. Ms. Metz resides in Westport, Connecticut.